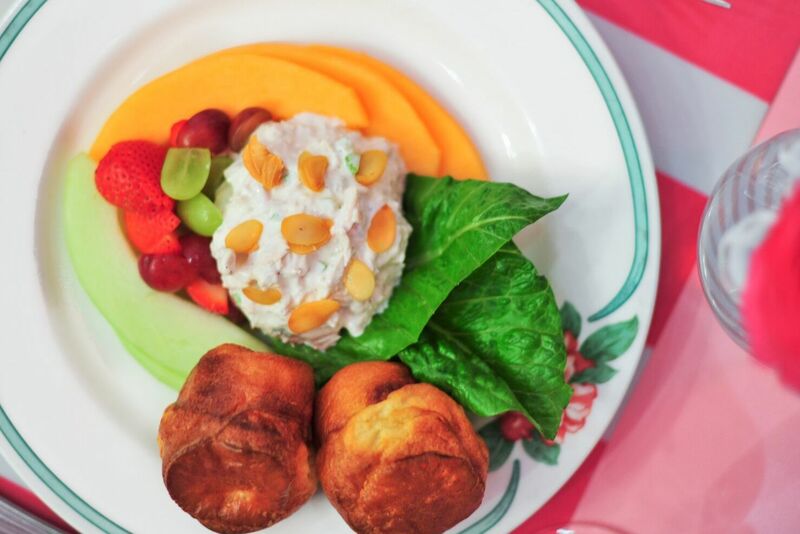 Nothing brings a Southern family together quite like a delicious spread of food, and Southern family reunions take that truth to a whole new level. These homecomings are all about getting together and celebrating our kinfolk with an impressive lineup of creamy casseroles, cheesy pasta bakes, and rich desserts. (And plenty of ice-cold sweet tea.) These classic Southern dishes help make for a great time with those we love, reminiscing on past memories and making new ones. Southerners’ gift for cooking comfort food for the masses is never more evident than at these family affairs, where tables buckle and groan under the weight of our creamy and cheesy concoctions. Family reunion food is all about tradition, whether it’s Nana's famous cobbler, or Uncle Walter's lime jello salad that always manages to make an appearance. Instead of breaking bread, we’re breaking out the covered dishes—but for us, that’s the same thing. Here are the classic 9x13 casserole recipes you’ll always catch at a Southern family reunion. Keep things traditional with this old-school recipe—the epic creaminess and French fried onion topping make an unmistakable Southern duo at reunions, holidays, and Sunday suppers. Odds are, you’ve seen this comforting casserole everywhere from casual dinner parties to Mama’s house on a Tuesday. Poppyseed casseroles are about as classic as it gets. If it doesn’t use traditional egg noodles, it doesn’t deserve the name. While we love the squash itself, it’s the creamy sauce (made from cheese, mayonnaise, and eggs) and crunchy, buttery crack topping that keeps us coming back for seconds. The bright casserole is a no-brainer for the family get-together. Macaroni and cheese fits right in on the reunion table with the creamy casseroles and hearty carb-packed dishes. The secret to this recipe: cubes of Cheddar cheese that melt as the pasta bakes, creating pockets of gooey goodness in every bite. This vintage classic is Mama-approved and never fails to satisfy a crowd—you’ll be catching sight of hearty helpings of this dish on your family members’ plates this year, which is the true indication of success! This timeless, Mama-approved casserole will stir up some nostalgia in your crew. The stuffed-to-the-brim dish is full of a delicious filling of sausage, cheese, and peas and a topping of summer squash. Corn pudding fits in perfectly with all of the classic casseroles, like green bean and squash. This corn pudding recipe puts a savory spin on the traditional recipe with the addition of chopped onion and fresh thyme. We’re loving it for reunions, potlucks, and holidays. With plenty of butter, a rich sauce thickened with flour, milk, white wine, and chicken bouillon, this classic Chicken Tetrazzini is pure comfort food gold. Test Kitchen Tip: This recipe freezes beautifully. This old-school casserole never disappoints, and we can’t imagine a family reunion without it on the vegetable casserole spread. We especially love this delicious version with fresh broccoli and mushrooms—and without even a dollop of creamy canned soup! It’s just a tad different from your traditional recipe. Spice up the family reunion spread with this crowd-pleasing casserole. The cheesy Mexican dish is full of smoked chicken, sharp Cheddar and Monterey Jack cheeses, green chiles, chili powder, roasted peppers, and toasted cumin. Take your squash casserole in a brand-new direction with this gratin recipe that uses heavy cream, sage, and nutmeg to make a truly delectable blend. This prettily latticed savory cobbler makes a welcome addition and hearty main dish for the most crowded of family reunions. Switch up the vegetables according to season, and the protein according to preference! Cheesy scalloped potatoes will foster common ground between even the most opposing family members, making it a staple at Southern family reunions for decades past. This family favorite is hearty, flavorful, and super quick to make—meaning it's the perfect big-batch casserole for a family reunion full of hungry Southern bellies. 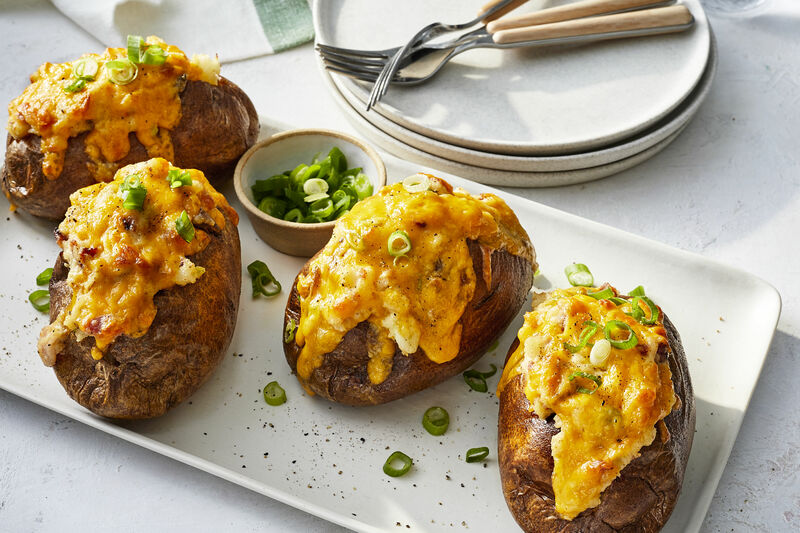 This update on our classic recipe hits all of the creamy, cheesy, and crunchy notes you could want for an old-fashioned dish that everyone at the reunion will know and love. If you’re taking lead on planning the reunion this year, you need all the help you can get. Why not make the day of the reunion just a bit easier with these Make-Ahead Mashed Potatoes? They’ll be ready to place in the oven when it’s most convenient. Many Southerners agree that Easter just isn’t right without this sweet, cheesy, and savory casserole full of chunks of pineapple. We think this unique Southern dish belongs at the family reunion too—because you might not get to spend Easter with everybody, and who doesn’t deserve a yearly fix of this? Double up this recipe for a 13x9 version. Southerners love hashbrown casserole for everything from funerals to family reunions, and this dish seamlessly transitions for any and every Southern occasion. Get your creamy, cheesy, potato-packed casserole on this year. Odds are, there’s someone who brings this classic dish year after year. It’s understood that no one encroaches on their signature dish and that you need to hit it quick before it’s gone! This old-fashioned cake is making a major comeback, and this simple 13x9 version makes it even easier to prepare and transport. It’s super moist, creamy, and chocolatey. This bright, strawberry-speckled sheet cake gives a delicious non-chocolate and non-cobbler dessert to serve up at the family reunion this year. The classic Hello Dolly recipe gets a slight, chocolate-induced makeover in this delicious bar cookie recipe. Layered with a graham cracker crust, pecans, chocolate chips, coconut, and sweetened condensed milk, these bars will have your crew begging for more. This chocolatey, pecan-studded dream will please any palette; and make this baking sheet cake even more transportable by putting it in a 13x9 dish! This indulgent dessert gives yet another carb-packed casserole to finish off the family meal. Use fresh peaches, and leave out the bourbon for a family friendly spin.